You could be living in Lake Forest Luxury! Our beautiful Baldwin County offers many wonderful cities with a wide variety of neighborhoods and subdivisions ranging from large to small, many amenities to fewer amenities, and cozy ranch style homes to jaw-dropping mansions. As the saying goes, “to each his own”. There are hundreds of options to choose from and satisfaction for all. Lake Forest, which is nestled in the middle of Daphne, is known as the largest residential community in Alabama. Lake Forest holds over 3,000 homes and has over 50 miles of paved roads! 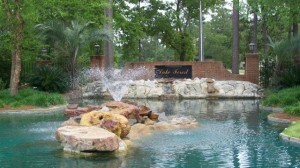 There is much to do in the subdivision and amenities that attract people from all over. 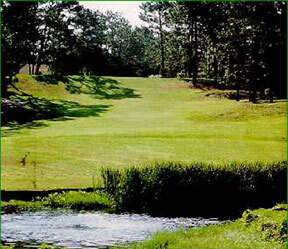 Lake Forest offers 27 holes of golf: an 18-hole championship forest course and a 9-hole executive lake course. In addition to the golf course, the facilities offer a driving range, a practice putting green, practice chipping area, a well-stocked golf shop, and a 19th Hole Grille. If you’d like to improve your game or just play a round with some friends, you will be living in luxury here. Lake Forest also offers three swimming pools, tennis courts, a yacht club, an apartment complex, basketball courts, horse stables, and marina, plus playgrounds and parks. Memberships to these amenities may be purchased by residents, family, friends, as well as the public. With so many amenities and the convenience of its location- just minutes from Spanish Fort, Fairhope, and I-10- this giant subdivision practically sells itself! If beauty, convenience, and endless fun are what you’re looking for in the next place you call home, then you must take a look at Lake Forest. You could be one of the thousands living in Lake Forest Luxury!